The German airline Air Berlin canceled more than 110 flights on Tuesday because of a high number of sick leaves. 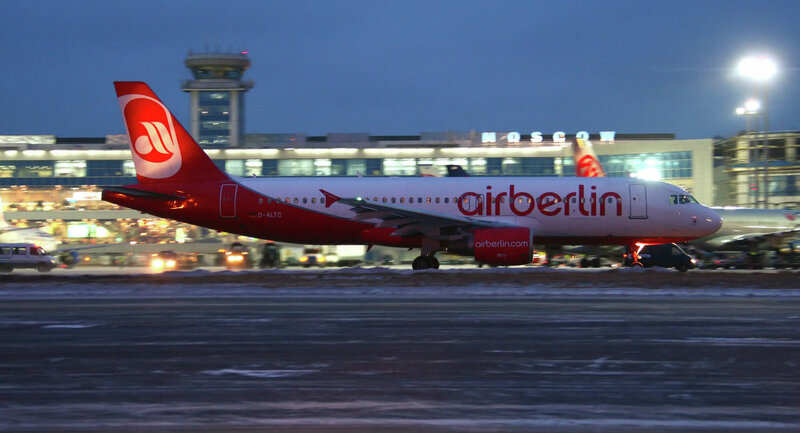 BERLIN (Sputnik) — Cancellations of more than 110 flights of the German airline Air Berlin affected more than 12,000 passengers, the airline's spokeswoman told Sputnik on Tuesday. — airberlin (@airberlin) 12 сентября 2017 г. ​Earlier in the day, the airline said that its pilots had filed an unusually high number of sick leaves, and it was forced to cancel flights. "At the moment more than 110 flights have been canceled, with about 12,000 passengers affected," the spokeswoman said. The airline's statement on its website indicated that 750 flights had been scheduled for today. About 200 of Air Berlin's 1,500 pilots reported being ill.
— Berlin Airport (@berlinairport) 12 сентября 2017 г. ​In mid-August, Air Berlin, the second largest German airline, filed for bankruptcy following the refusal of the Etihad Airways, which holds a 29.2-percent stake in the airline, to continue providing it with financial support. The German Ministry for Economic Affairs and Energy said that Air Berlin was holding negotiations with Lufthansa and another company on selling some of the company’s assets.